FCC Chairman Ajit Pai’s decision more than a year ago to repeal net neutrality has not destroyed the internet, tech researchers told The Daily Caller News Foundation, but risks remain for the web if the rules are re-instated, they added. Activists and the Democratic Party argued that repealing net neutrality would end a “free and open internet.” But evidence suggests the exact opposite thing happened. It’s been more than a year since regulators repealed an Obama-era rule that beefed up regulations on the Internet, yet the web has not melted down as activists predicted. Activists argued at the time that the FCC’s decision would kill a “free and open internet.” Tech experts are now arguing that the exact opposite is true. Layton was referencing Tittle II regulations, which direct the FCC rather than the Federal Trade Commission to regulate large chunks of the digital domain. Net neutrality proponents argue such rules are needed to ensure wireless carriers like Comcast and Verizon don’t offer so-called fast lanes. They also suggest Title II is necessary to prevent Netflix and Hulu from engaging in paid prioritization. Internet speeds are getting faster, not slower, especially fixed broadband internet. Broadband download speeds in the U.S. rose almost 40 percent in December 2018, while upload speeds are up 22 percent from 2017, according to a U.S. broadband report conducted by internet speed-test company Ookla. Those rate increases follow the FCC’s 2017 decision. Speeds vary according to geographical locations. New Jersey, for instance, had the highest mean download speed at 121 megabits per second, while Rhode Island had the fastest upload speed at 63 mbps during the second and third quarters of 2018. Maine had the slowest mean upload speeds at 50 mps of any state. Fifth generation mobile phones are expected to improve internet speed and connections for smartphones and other devices. So-called 5G uses higher frequency waves than the current 4G LTE systems, which allow network towers to send and receive more data faster. Fifth generation is expected to be about 100 times faster than 4G, according to some reports. “If we left it to the Title II proponents, we would have one network for which the FCC would set the price and speed, and one whose cost taxpayers would have to bear,” said Layton, a visiting scholar at American Enterprise Institute. Fifth generation’s expansion comes as the U.S. competes with the likes of Chinese companies Huawei and ZTE, both of which are building such networks at neck-snapping rates. Huawei and ZTE’s heft in the field threatens to overturn the U.S. dominance in telecommunications. China outspent the U.S. on 5G buildup by $24 billion and has built 350,000 new wireless towers since 2015, according to a report Deloitte Consulting published in 2018. The U.S. has built just 30,000 in the same time. “Title II and similar public utility regulation, however, has a well-documented history of impeding investment, stifling innovation and increasing prices. 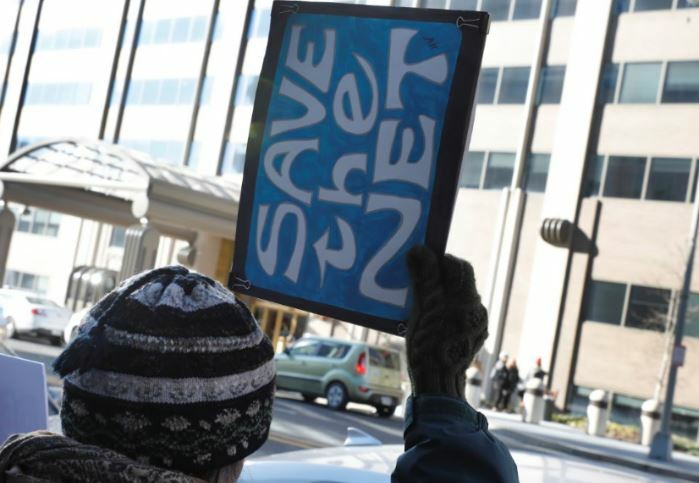 We should not want the internet to suffer the same fate as our potholed roads, decaying electric grid and overburdened airports,” former FCC Chairman Michael Powell said in a March 19 USA Today editorial. He is now the president and CEO of NCTA, a trade association representing the internet and television association. Powell was referring to investments he said are needed to keep the U.S. on pace with China in the race to buildup 5G. Network investment declined for two straight years when the Obama-era FCC initiated net neutrality in 2015, the first time that had happened outside of a recession in the broadband era, according to a 2018 report from the FCC. The report pointed at VTel, a small Internet service provider based in Vermont, as one recent success story to come from repeal. VTel “committed $4 million to purchase equipment and services from Ericsson to upgrade its LTE core to enable voice roaming and Wi-Fi calling to all our Vermont rural subscribers and to simultaneously begin rolling out faster mobile broadband that will start our transition to 5G,” the company wrote to Congress in May 2018, citing Pai’s policy prescriptions as a reason for VTel’s success. House Speaker Nancy Pelosi introduced the “Save The Internet Act of 2019” was formally introduced in March at a press conference on Capitol Hill. A bill to reinstate Net Neutrality passed the Senate 52-47 in May, but the Republican-controlled House refused to move on the bill. Democrats regained control of the House in November 2018, while Republicans have increased their majority in the Senate, but the legislation is still unlikely to be able to achieve veto-proof majorities even if it passes both houses.